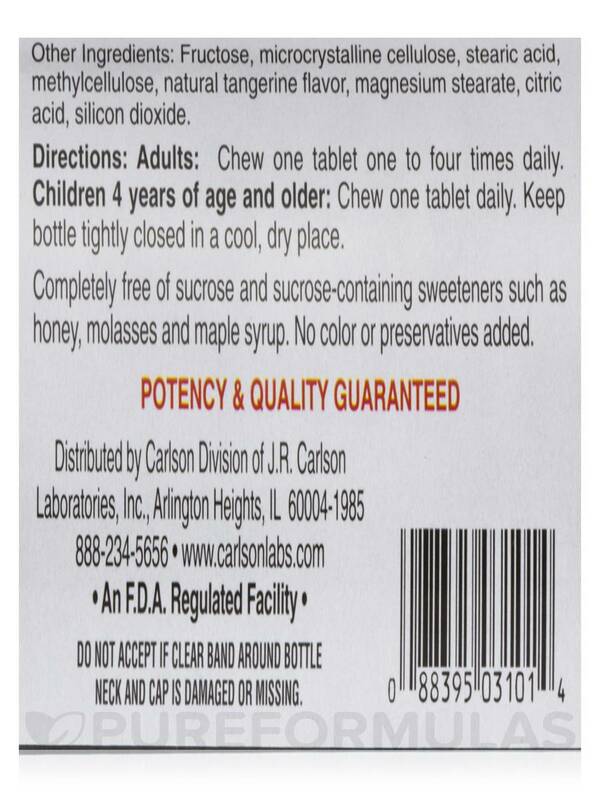 My boys does not like the taste and wont take Carlson for Kids Chewable Vitamin C 250 mg by Carlson Labs. 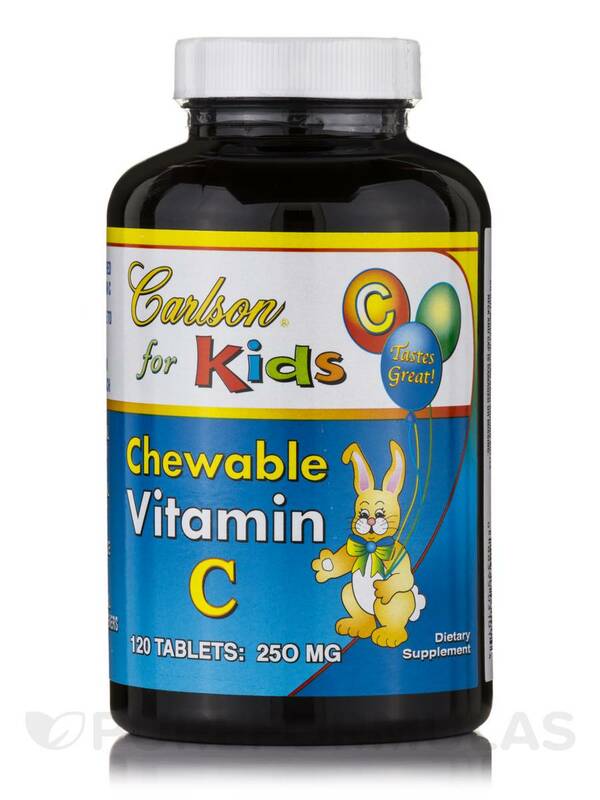 Carlson for Kids Chewable Vitamin C 250 mg from Carlson Labs is an easy way to potentially supplement your little one's vitamin C levels. Normally‚ a balanced diet would ensure optimal vitamin C levels. 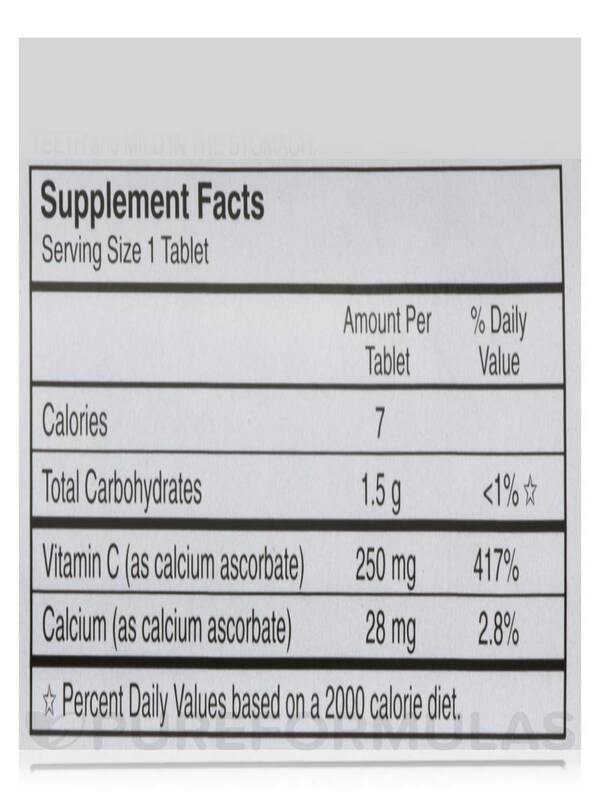 However‚ poor diet and an inconsistent eating schedule ma not only hinder vitamin C intake‚ but also absorption. 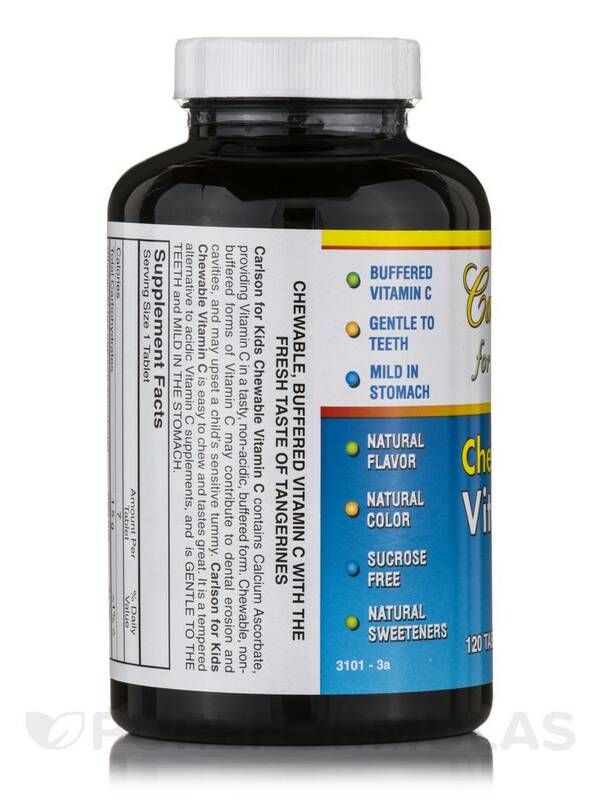 So how do you make sure your children get enough vitamin C? 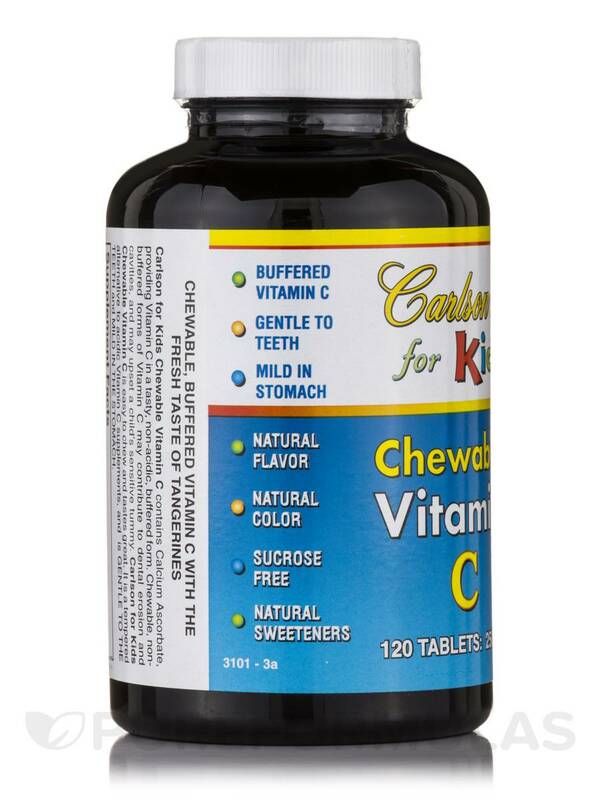 That's the answer that Carlson for Kids Chewable Vitamin C aims to answer. 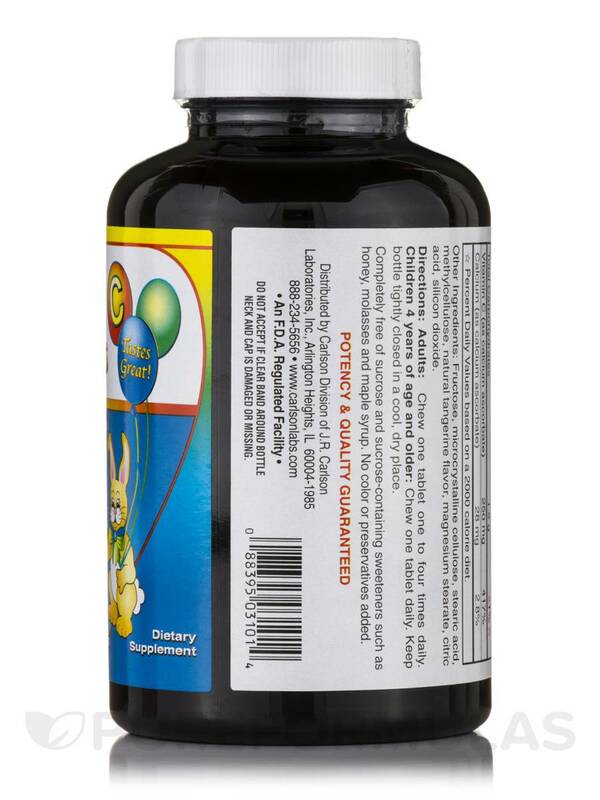 Chewables are great for kids because they are easy to take. 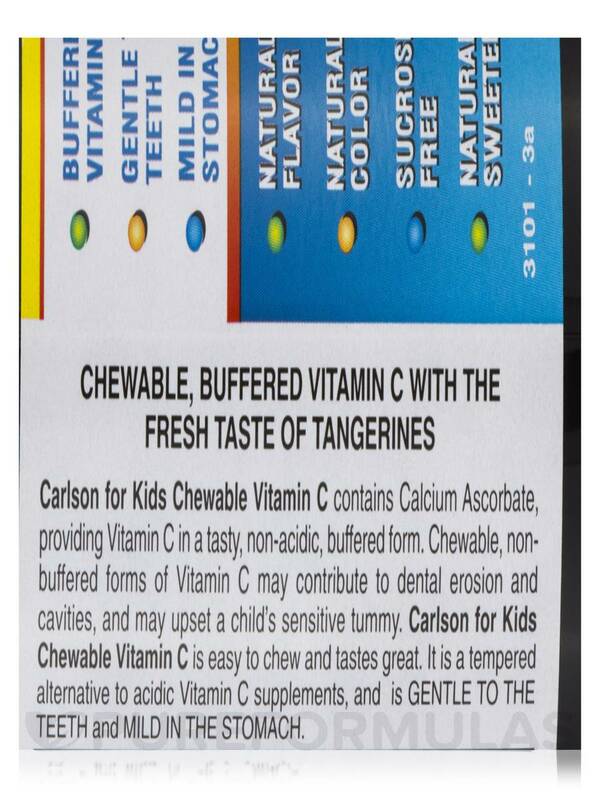 Plus‚ Carlson for Kids Chewable Vitamin C Tablets taste great since the are sweetened with fructose. 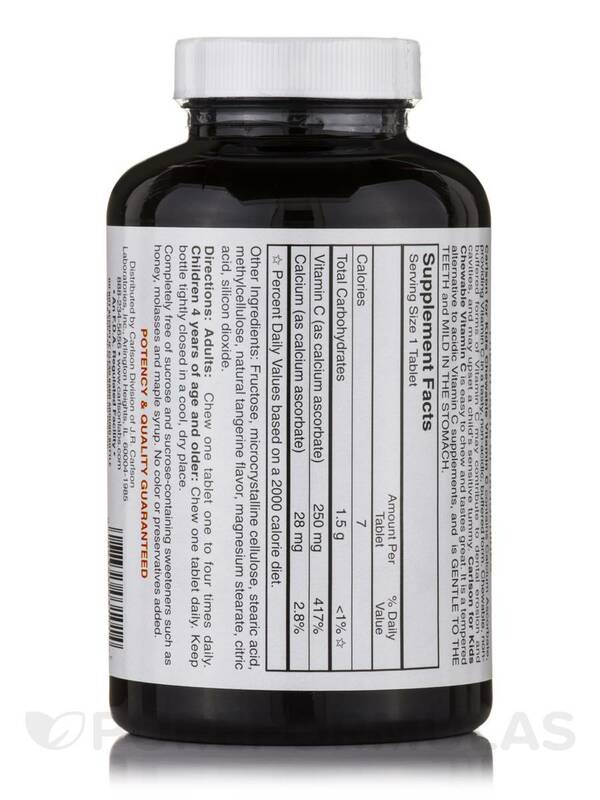 Ensuring healthy vitamin C levels supports immunity‚ iron absorption‚ and much more.